Today the 73rd Tank Battalion of the 7th Mechanised Brigade is the only active Czech Army tank battalion. It operates 30 T-72M4CZ’s main battle tanks. Within a decade (expected after 2025) the Main Battle Tank fleet of the Czech Army will also need an upgrade, to keep pace with the tank developments of our allies, partners and potential challengers. Today the 73rd Tank Battalion of the 7th Mechanised Brigade is the only active Czech Army tank battalion. It operates 30 T-72M4CZ’s main battle tanks (MBTs) produced between 2003 and 2006. They are an upgraded Czech variant of the 2nd generation Soviet T-72s; and are considered to be the most capable T-72 upgrade deployed within a NATO army (the other widely used variant being the Polish PT-91 Twardy which entered service in 1995 already and is based on the T-72M1s). The Czech Army also still holds almost 90 original T-72Ms and T-72M1s placed in long-term storage; yet their combat value is decreasing rapidly. Currently the most actual modernization tender to re-equip the Czech ground forces with modern vehicles is the one for purchase of new IFVs (see New Infantry Fighting Vehicles for the Czech Army). But within a decade (expected after 2025) the Main Battle Tank fleet of the Czech Army will also need an upgrade, to keep pace with the tank developments of our allies, partners and potential challengers. The world market offers many solutions, yet the specific Czech needs and possibilites limit the number to but two realistic contenders, which are the German Leopard 2 (operated by many other NATO countries including Poland), and the Israeli upgrade of the US M60 Patton designed as Sabra (and is operated by the Turkish Army). A further option that might be considered by the Czechs is to purchase a light/medium tank based on an IFV; and all four eminent contenders in the above mentioned tender (CV90 by BAE Systems, ASCOD 2 by GDELS, LYNX by Rheinmetall and Puma by PSM) offer such possibility. But, of course, a light/medium tank cannot fully replace a Main Battle Tank in one-to-one role replacement. The other currently operated MBTs are either very expensive (the US M1A2 Abrams or the Israeli Merkava 4), their producers are geographically too distant to offer rational logistical support (the South-Korean K2 or the Japanese Type 10 MBT), or they are already out of production (the British Challenger 2, the French Leclerc or the Italian C1 Ariete). 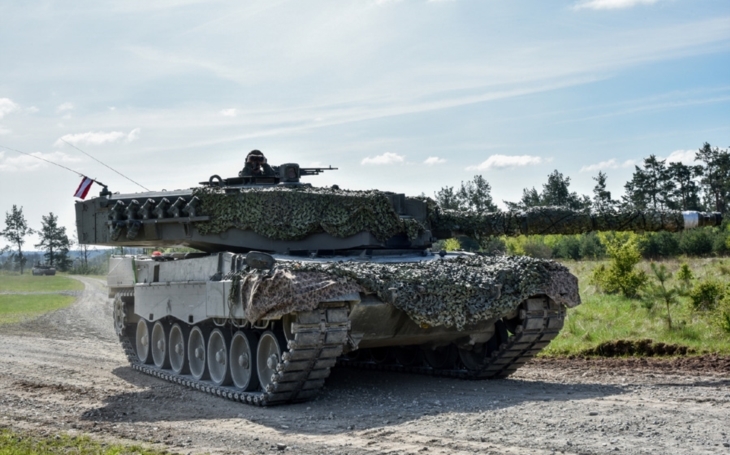 The German Leopard 2 appears to be the natural favourite choice for the new Czech MBT, being operated by the Czech Republic’s neighbors (Germany, Austria, Poland). Yet a newly produced Leopard 2 is not exactly a cheap option, while there are not many „second hand“ tanks available for purchase (and upgrade), especially with other countries considering the same modernization projects (Bulgaria, Croatia, and of course Poland which already has 142 Leopard 2A4s, 105 Leopard 2A5s and two training Fahrschulpanzer Leopard 2). Also the 2A4 variant’s performance which is comparable to the actual T-72M4CZ would make the purchase expensive and inefficient. The Israeli Sabra tank is a cheaper option compared to the Leopard 2. On the other hand, being produced by Israel, the EU funding may not be available for purchase of these. Technically and tactically the Sabra, even in it’s latest variant (Sabra 3) which should be fitted with the Merkava tanks armor modules, tracks and other upgrades, may hardly compete with an upgraded Leopard 2, and it might be considered a step back in some performance categories even when compared to the T-72M4CZ. The service duration of the T-72M4CZ deployed with the 7th Mechanised Brigade reaches 2030, so there is relatively enough time left, and more options will certainly appear in the near future, not only as the Western response to the new Russian T-14 Armata. Some experts say the Main Battle Tanks are outdated as a class of combat vehicles, being too expensive for both purchase and maintenance, and too vulnerable against modern guided missiles and RPGs. The modern Active Protection Systems (APS) are the answer, and in none of the actual conflicts so far any of the opposing forces ventured not to deploy Main Battle Tanks.